Internet Protocol Television, popularly known as IPTV seems to be the most dependable means of watching TV across the globe these days. If you want to watch all sports including all soccer matches with one service, it can only be possible via IPTV service.For instance, DStv Africa has the rights to the EPL, FAC, La Liga, Sere A but lack the rights to the Bundesliga, EFL Cup, and Copa del Rey. If you must watch those ones missing on DStv, you must either buy a StarTimes decoder or seek a solution in IPTV. Free IPTV like Facebook live, YouTube, Instagram videos and so on. Pid official IPTV (Legal IPTV services like Hulu, Netflix, sling tv, DStv Now, StarTimes ON, beIN connect e.t.c). Premium illegal IPTV like xtream, E vision, Apollo, home cloud e.t.c. Free semi-legal IPTV Apks (apps not on google play store) for Android devices and free but illegal IPTV add-ons usable via Kodi. Out of everything mentioned above, only two categories are safe to use. Paid legal IPTV and free IPTV Apks for Android devices. If you want to enjoy major TV programs, you need IPTV. Currently, the most popular means of watching TV via IPTV for free is by downloading, installing and running some IPTV Android Apps. There are as many free IPTV apps as there are many Android devices. Some are good, while some are pathetic. Today, I will recommend one best free IPTV Android app for you to enjoy live sports on your Android/Tablet devices, Smart TV or Android TV boxes and also gives you 4 different IPTV sport streaming websites to watch all live soccer matches on your PC, Mac, Android, and iOS devices. Unfortunately, the audio on most of the channels are in Arabic and I hope that should not discourage you from watching your live sports. I must tell you this, IPTV service that shows everything (I mean, the IPTV provider offers all soccer matches) regardless of the genre or the source of the content could be offering such service illegally. Customers should be aware of this. Note: Some of the following free IPTV might contain pirated content while others might be Geo-restricted. In order to protect your connection to the streaming sources, if you decide to use free IPTV to watch all live soccer matches, tennis, movies, news etc, advisable to use a VPN. No matter what OS you use, you can get a VPN application for most of them, to unlock Geo-restricted content and to protect your browsing from prying eyes. Some of the VPN are Expressvpn, Hotspot Shield, Tweakware VPN, Yourfreedom client and much more. Shelaf holds no responsibility whatsoever for the contents available via this IPTV. Always remember that whenever you mention IPTV, you must mention huge stable internet subscription alongside it. Even the best IPTV will have a zero performance metric without a fast, stable and reliable internet connection. Suffice to say you must first meet the internet connection and subscription requirements before venturing into IPTV. For the Cheapest huge internet plans. Globacum is still offering their double data, you can get 6GB for just 1k. 9mobile still offering cheap data via their special offer, you can get 10GB For Just 2k. I’m currently using the Airtel double data plan. Smile network is still offering 7GB and 100% Bonus on Recharge for 3months when you buy their SMiFi for just N9,800. Spectranet has always been the cheapest 4G network followed by ntel. Explore any of these opportunities. Also, check our Browsing Tips Category for more hints on huge or unlimited internet data. Watch Live TV is the name of the app 1’m talking about. The app was developed by Kora Live Streaming. 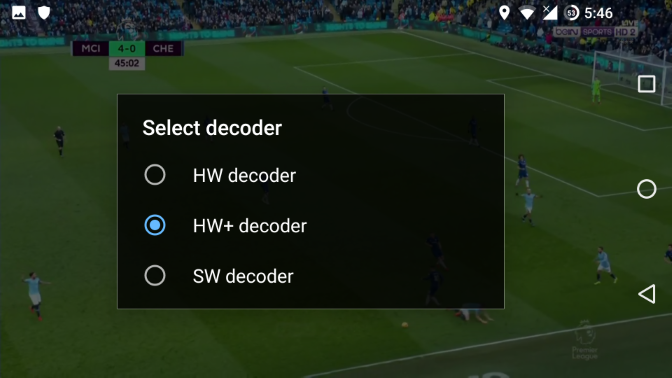 I really love this Streaming app, because you can choose to view any of your favorite sport in HW, HW+ or SW format on your mobile screen, it is very clean and clear, just that it requires a strong network to stream flawlessly without breaks and glitches. With lots of popular sports channels available on the Watch Live TV app, you can stream various live sports matches like Football, Baseball, Boxing, Tennis, Rugby, Motors, Golf and many more. It is very easy to use, if you have a very strong network you can stream flawlessly and endlessly, watch your favorite sports and entertainment channels with just a click and of high quality. Though you may find few pop ads on the app, the overall streaming experience was smooth and I recommend you to enable Ad Blocker before visiting this site. Download Watch Live TV Android App Here. Kora Live is one of the best streaming sites, it has been in existence for more than four years, you can use it to live streaming sports events. On the Home Page of the site (http://kora-live.tv), you can check out the list of all football matches available for that day. Put the cursor on the match you want to watch, then click on “Watch Now!” to stream your favorite live sports and enjoy it for free or log on to http://kora-live.tv/channels.html to see the list of available channels and select your preferred one. The website was programmed with the Arabic language and you can easily translate it to English. If you are using Chrome Browser, by default, Chrome offers to translate pages written in a language you don’t understand. The only thing which I disliked about those live streaming websites is that they have clusters of pop ads which seems quite irritating while visiting the sites. The good thing about it is that they have multiple mirrors available for each of the sport so that in case any mirror does not work, you can easily check that stream that sport via another mirror. There are many more, but let me pause here. Thank you for the time you spent reading this article. I hope you find the article useful for streaming live matches and entertainment shows. Please don’t forget to drop a comment and also share this post.